Mr. Roof’s racism was blunt and raggedly formed. It was bred by a culture in which we constantly have to shout “Black lives matter!” because there is so much evidence to the contrary. This terrorist was raised in this culture. He made racist jokes with his friends. He shared his plans with his roommate. It’s much easier to introduce forgiveness into the conversation than to sit with that reality and consider all who are complicit. What white people are really asking for when they demand forgiveness from a traumatized community is absolution. They want absolution from the racism that infects us all even though forgiveness cannot reconcile America’s racist sins. They want absolution from their silence in the face of all manner of racism, great and small. They want to believe it is possible to heal from such profound and malingering trauma because to face the openness of the wounds racism has created in our society is too much. I, for one, am done forgiving. The response from the Emanuel African Methodist Episcopal Church, the city of Charleston, and the Governor was somber and morally inspiring in a way that stands in strong contrast to the likes of Ferguson where the racism was more implied than blatant. In Charleston it was the real deal. Charleston was a shock to me because I stood in awe of the progress made in race in America and especially in the South. I would not deny it is still there, but I would also not deny the incredible progress made, even in the face of this tragedy. The New South is is witnessing a reverse migration from the Jim Crow years as todays blacks are finding better opportunities. Perhaps as the racist element has been so defeated and humiliated they become more daring and more dangerous. Or perhaps this is just another disturbed sociopathic loner who found an excuse in his white supremacism. Hatred needs an excuse more than a reason. Or perhaps I have grossly overestimated and overstated the progress we have made. If this were a neo Nazi or a Islamic fanatic killing Jews in a synagogue uttering his bigoted screed as he murdered I would feel the same as Ms. Gay. There would not be a forgiving bone in my body. There is no forgiveness in my soul for the terrorist murderers in Paris, Mumbai, and the hundreds of other places. 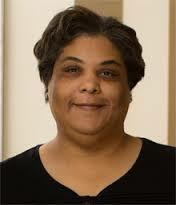 Like Roxane Gay, I am Ok with that.